The original version is meant for the dance floor: definitely not his style, but a new direction (experience?) for Eric to say the least. The Morales remixes are good for what they are - the club scene: that's what David does best; the Kevin Yost remixes are simply brilliant. 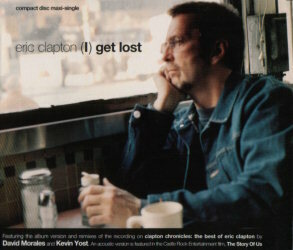 He manages to capture the true essence of Clapton's style AND gives you something to dance to! So if you feel like dancing to some Clapton, this is the way to go. Definitely 'end of summer' music!.